"Facebook is cracking down on gun-related posts," according to a recent USAToday report, which explained: "The social media giant is blocking minors from seeing postings of gun sales and will take down sales that don't require a background check or cross state lines." 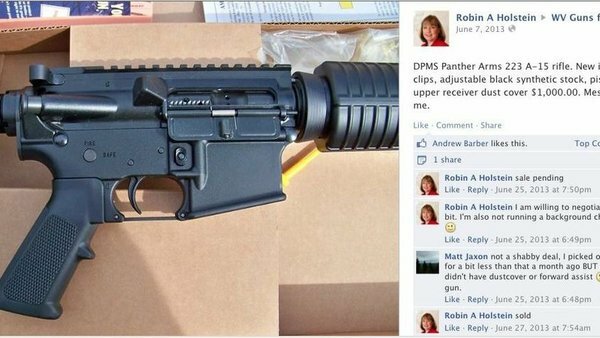 Facebook is cracking down on gun-related posts. The social media giant is blocking minors from seeing postings of gun sales and will take down sales that don’t require a background check or cross state lines. Boston.com added: "A similar policy will be applied to Instagram, the company’s photo-sharing network, Facebook said. The measures will be put into effect over the next few weeks at the world’s largest social network, with 1.3 billion active users." Politico explained that: Facebook will continue to allow guns to be sold through its pages, but it will take down postings in which sellers specifically advertise that they will not conduct a background check or that they are willing to sell across state lines. Facebook will also block people registered as younger than 18 from viewing gun ads. More than 225,000 people had signed a petition asking Facebook and Instagram to crack down on the illegal gun sales facilitated by its service, according to a Los Angeles Times report, which added that a video related to the campaign was viewed more than 375,000 times. SAN FRANCISCO — Under intensifying pressure from gun control groups and New York Atty. Gen. Eric Schneiderman, Facebook is tightening its policies to make it more difficult for people to illegally sell or trade guns on Facebook and Instagram, particularly to minors. According to the statement from Facebook, they will remove content and notify law enforcement "when we are notified about things shared on our services that suggest a direct, credible risk to others’ safety." But the New York Times reported that Daniel Gross, president of the Brady Campaign to Prevent Gun Violence, said little had been achieved, quoting him saying: “I wouldn’t even call this a meaningful first step." Guns are all over Facebook and Instagram. People talk about them, display them and celebrate them. They also buy and sell them – sometimes in illegal ways. 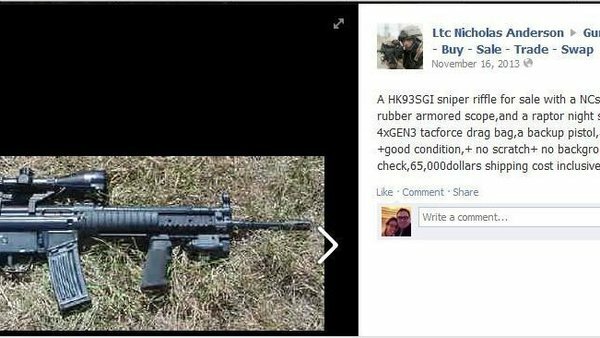 Last October, for instance, a 15-year-old Kentucky boy used Facebook to buy a handgun from an Ohio man. Another NYT post adds that "Facebook’s efforts will probably be even more difficult to enforce for its overseas users." LONDON – Facebook is clamping down on gun sales on its site. But what about the social network’s international users, which represent around 80 percent of the company’s roughly 1.1 billion users? Many reside in countries like Germany and Britain that already have strict gun control laws. Before the new terms were put into place, venturebeat.com reported: "You can buy automatic weapons without a permit, guns with their serial numbers filed off, and weapons that may be prohibited by your state’s laws. If you’re under 18, you can buy a handgun, which federal law prohibits." Connect with leaders from the companies in this story, in real life: Come to the fourth annual VentureBeat Mobile Summit April 14-15 in Sausalito, Calif. Request an invitation. Fifteen minutes. That’s all it takes for children and people without IDs to buy illegal weapons on Facebook pages dedicated to the sale and celebration of guns. MIAMI (CBSMiami) – The Miami State Attorney’s Office confirmed to CBS4 Tuesday that it will not seek the death penalty against a South Miami man accused of killing his wife and then posting pictures of her body on Facebook. Derek Medina, 31, has pleaded not guilty to first-degree murder in the August 2013 killing of Jennifer Alfonso. Still wanted by police, Tyrone Hoskins, Jr., seems ready to make a deal for his surrender. Posted on a Facebook page belonging to the 23-year-old Toledo man – one of two charged with murder in the shooting death of Michael Williams, Jr.
Facebook Candace Strickland, of Hartford, took a bullet to the head and lived to tell about it, hours later on Facebook. Strickland wrote on her Facebook, ‘Please keep praying for me. I can’t stop cryingggg’ after miraculously surviving the stray bullet. Her status update: lucky to be alive.